Only a few weeks to go and the ISE 2018 will start. We are looking forward to meeting up with everybody and show our new products and our brand new designed stand! With this news item we would like to let you know what you can expect from us during the ISE. We hope you are just as excited as we are about the new products and we look forward to meeting you at our stand in Hall 1, stand M30. If you need tickets to access the ISE 2018, you can contact our Vogel's professional team and we will send you the invitations. You can also use our Vogel's invitation code: 704148. Click here to register yourself for ISE 2018. By adding a complete new range of Universal video wall solutions to our existing Vogel’s Connect-It System, we are expanding the applications of LCD video walls - in terms of size, position, mobility and flexibility. In addition, there are also solutions for LED screens, for a futureproof standard. This concept is universal and modular and excels in quality and ease of installation. Whether you need a ceiling, floor-to-wall, floor-to-ceiling, free-standing, back-to-back, fixed or mobile solution, installation is clear and simple. One system for a host of applications with easy access for maintenance which is as durable as it is versatile. 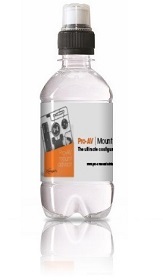 Pro-AV Mount Advisor has a new look! Vogel's Pro-AV Mount Advisor helps you to quickly find the correct configuration for your installation. In a few steps you can find the exact solution you need. 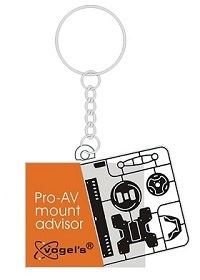 We have restyled the logo for the Pro-AV Mount Advisor. The new logo is a more modern version, more recognizable and you can also use it in advertisements, on websites, in banners, etc. During ISE you will find our Pro-AV Mount Advisor on the PFTE 7121, Motorized touch table. Our giveaways are also styled with the new logo. Our water bottles are provided with a label with the new logo and we have some nice key chains with the new logo. 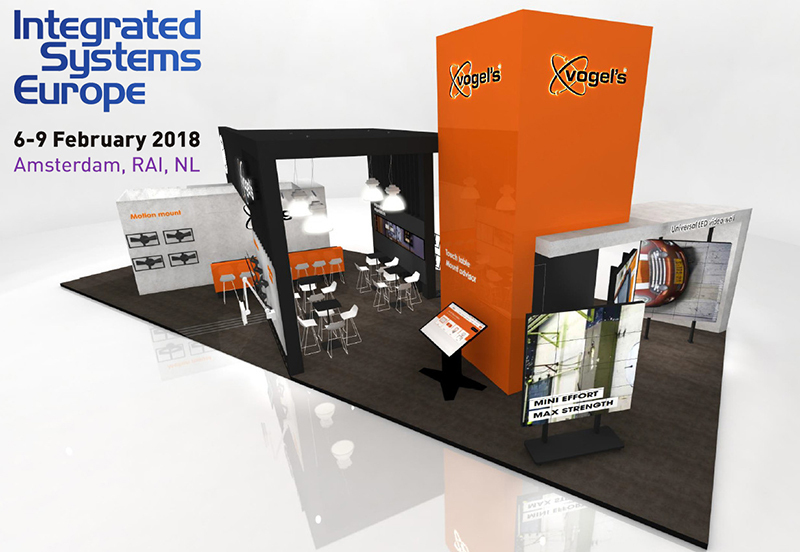 On Wednesday, February 7th there will be the annual and famous Vogel’s Connect-it party on the Vogel's stand from 16h30 until 18h00. This closed, private party is organized specially for Vogel's business partners and their clients to celebrate our cooperation together in an informal atmosphere with snacks and drinks. Here the international AV professionals will meet up. Vogel's and business partners will personally invite their clients. 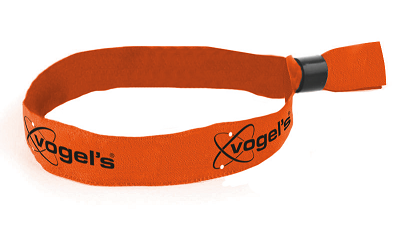 For invitees there are special orange Vogel's bracelets, that are mandatory to access the Connect-it Party. Invitees can pick them up on Tuesday 6 or Wednesday 7 February until 4pm, hand in hand with your national sales representative.